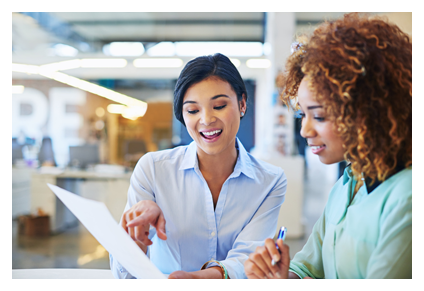 Harrison provides the next generation of assessments with customer service specific behavioral and personality testing which predicts how well applicants will generate repeat business. Customer Service is a broad category which makes it important that your customer service assessment is focused on the requirements of your specific job. 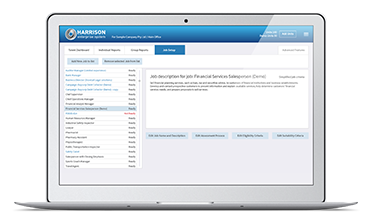 Harrison has more than 14 variations of customer service assessments based on job performance research, ensuring your assessment is focused on the requirements of your specific customer service position. Each variation of customer service test can be used for assessing applicants or developing customer service performance. Our SmartQuestionnaire measures 175 factors in only 25 minutes. Our extensive world-wide customer service research is fully incorporated into our Customer Service Assessment Library, making it easy to assess job fit. You can use any of the above assessment criteria as a starting point making adjustments to fit your specific customer service needs. Our expert Job Analysts are on hand to support you. Harrison uses artificial intelligence research to determine the exact factors that make your customer service employees successful. Our benchmarking technology not only identifies the key success factors and derailers, it automatically creates a complete customer service assessment based on the research results. A complete research report is provided including the exact descriptions of success factors, correlation coefficients for each factor, and overall correlation coefficients related to each factor. Customer Service positions often have high employee turnover which can be reduced by selecting candidates who have the natural qualities that generate repeat business. That's why each of our customer service tests measures the degree to which the employer and employee will meet each other's mutual needs and expectations. It doesn't just predict customer service performance, it also predicts engagement and retention - all while providing a superior employee and candidate experience when completing the questionnaire.